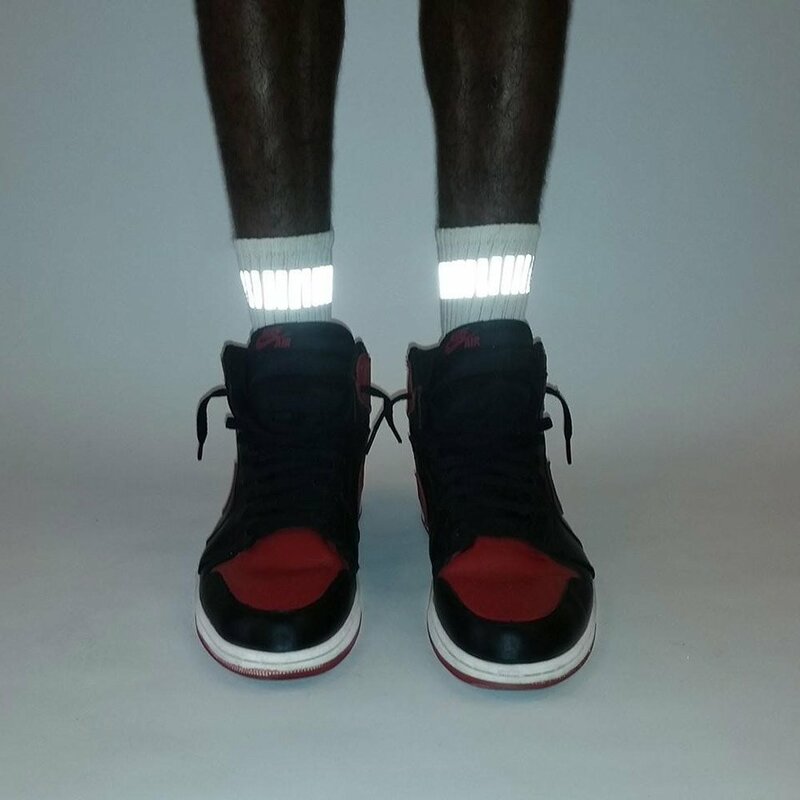 Apparel maker Heisel specializes in 3D printed and reflective clothing. 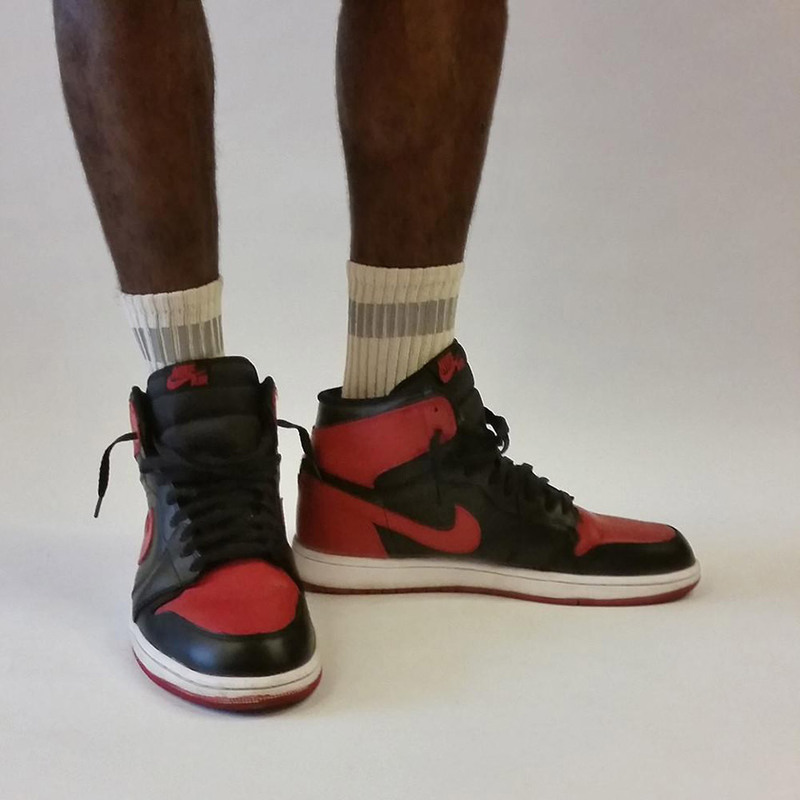 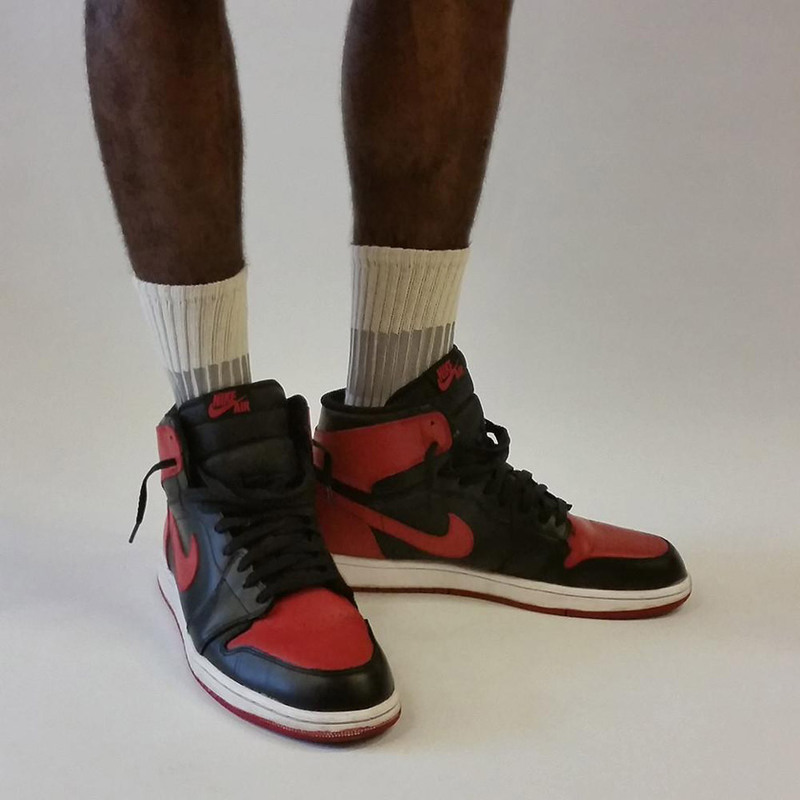 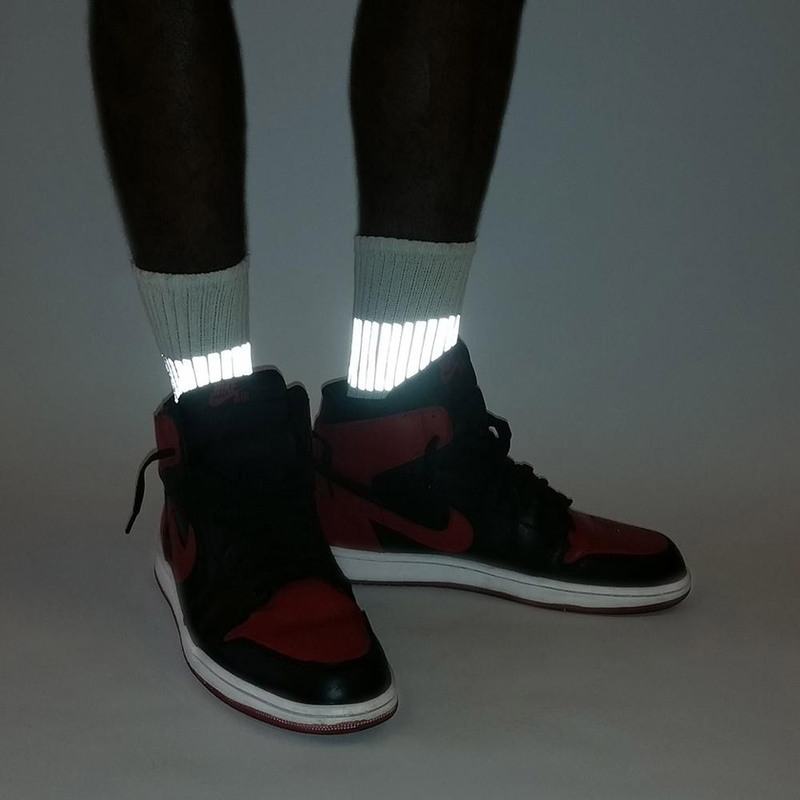 One of their coolest products are these reflective socks. 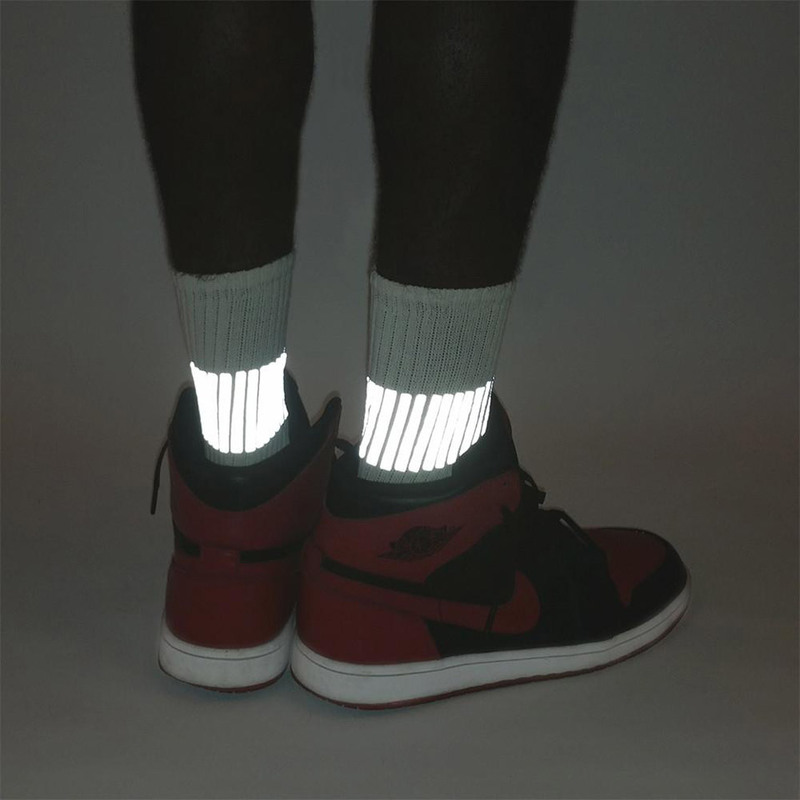 It has an integrated stripe of 3M’s Scotchlite retroreflective material. 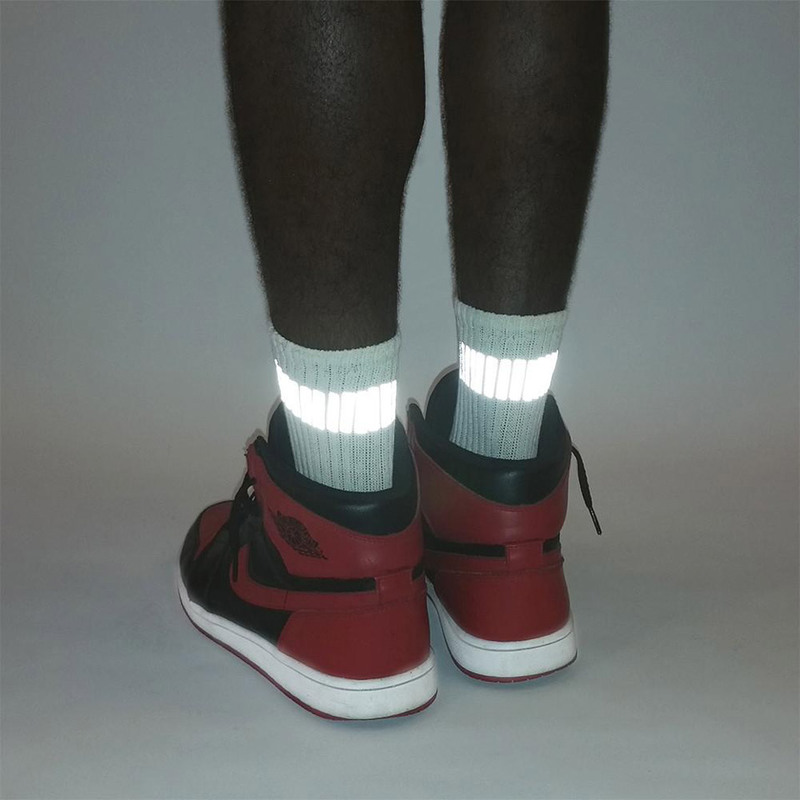 It’s available with a wide or a narrow reflective stripe.